I've gotten some flak for proposing a Trump/Clinton presidential ticket in the past. It was just an impression that I got a la the Psychic Proximity Principle that seemed compelling at the time. Now that the Donald has declared an absolute nobody as his running mate and is heaving his way through the Republican Convention, everyone is ready to say that what I said in the past was wrong. I respectfully disagree. 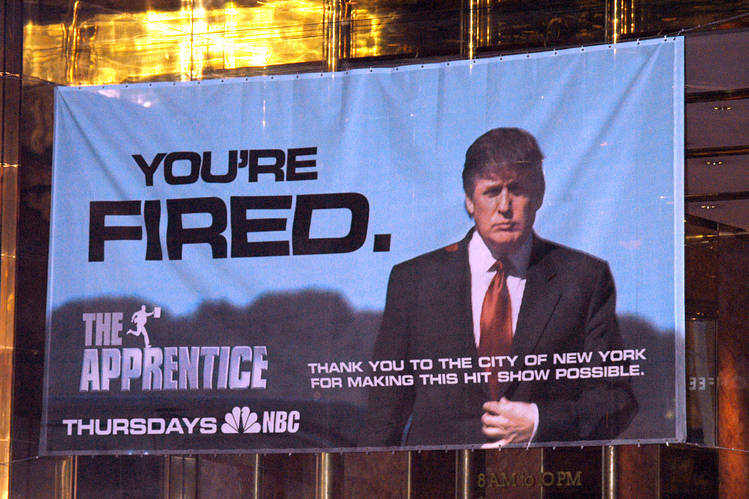 Donald Trump was the star of a reality TV show I never watched (my TV blew up in 1997). 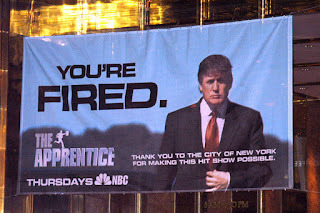 He fired someone every episode or so I am told. Life imitates art and I think the pick of Pence at this juncture is a tactic to get the Trump juggernaut through the Convention. I predict that Trump will "fire" Pence as soon as negotiations with Hillary are concluded and the opportunity to maximize the impact of a Trump/Clinton announcement are engineered. It is bold thing to do - bringing opposing party candidates together - but that makes for very popular reality TV (which is what our political leaders long to emulate). Trump is up for the challenge of bucking the system (call it "trumping" the system) and Hillary continues to be willing to bide a bit more time to guarantee her ascension as the first woman president (through a stint as congresswoman, secretary of state, and now vice-president). Honestly, Hillary can't really compete against the flash of Trump - she is stodgy and steady. Her accusations of Trump as crazy don't enthuse her voters to turn out - they will trust that a crazy person can't become President. Trump will win because Hillary can't get her people charged up enough to get off their duffs and vote. I still think my inspiration will prove correct and you will see a Trump/Clinton ticket in the White house come January.